Deer Tick have a new album coming out early next year, and they're calling it an extension of Deer Tick Vol. 1 and Deer Tick Vol. 2. This new album will feature new songs, alternate versions, and covers, including a cover of George Harrison's "Run of the Mill." Providence's Deer Tick are a long time favorite of ours here at If It's Too Loud..., plus I'm a huge George Harrison fan, so this cover is kind of a dream for me. I also love that they chose "Run of the Mill," since while it's a well known song, it's not one of the most obvious ones. They do a mostly straightforward true to the original version of the classic, but it fits perfectly into Deer Tick's style that way, so it's basically perfect. 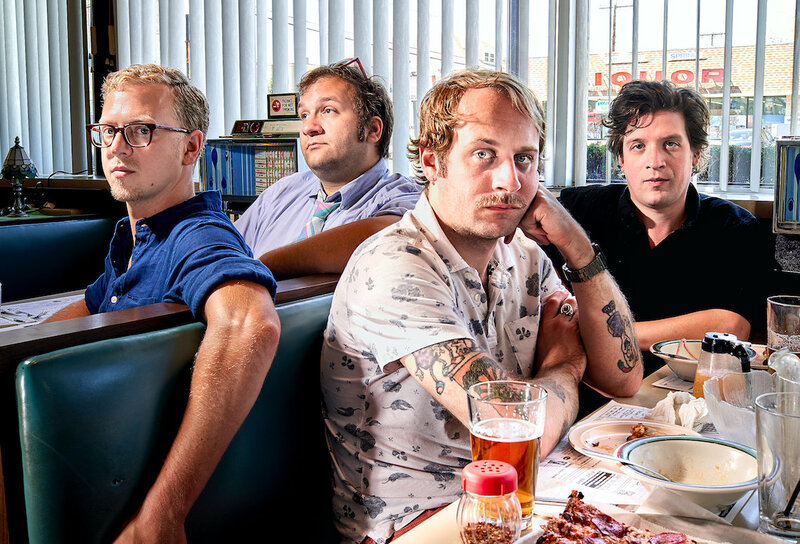 You can listen to Deer Tick's cover of "Run of the Mill" below. Mayonnaise, the new album from Deer Tick, is due out on February 1. You can pre-order it here. If you head over to their Bandcamp, you can also check out an original song called "Hey! Ya!" which is fantastic. (But you know us and covers...) For more on Deer Tick, check out their website.